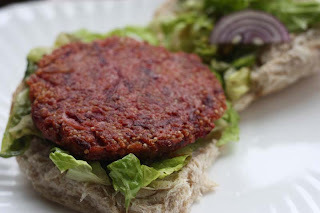 These Beetroot and Quinoa burgers were good. Ticked the three boxes for me: Looks, texture and flavour. The taste of these burgers reminded me somewhat of onion rings, but enhanced further with earthy beetroot and the surprise crisp pop of quinoa bursting in your mouth. The last time I cooked Quinoa for D he disliked it, this time he had a completely different attitude. He actually praised this deep maroon burger and declared it Delicious - high praise indeed. If you don’t have Quinoa in your home and I can perfectly understand why you may not have some, as Quinoa is not an ingredient that frequents my home either. I had some left over from the spiced Quinoa and chickpea salad from last year, the point I am trying to make is that the Quinoa in this recipe can easily be substituted with bulgur wheat, couscous or even brown rice. The original recipe also specified two eggs, I was debating in my head whether to add the eggs or not, as the Beetroot-Quinoa mixture held well when shaped into a burger, but I went ahead and made it with one egg. I do think you could try making these without eggs making it suitable for vegans. Rinse the Quinoa in a sieve with cold water. Boil in 175ml water for 10 minutes covered with a lid. Remove the saucepan from the heat, mix in a little salt and level on side for 10 minutes covered. In large bowl, add the grated onion and beetroot, stir in the flour, curry powder and garam masala and salt. When the Quinoa has cooled down add to the bowl along with the egg. Taste and adjust seasoning if necessary. Leave the mixture to rest for a while. When ready to eat, divide the mixture into 6 – 8 burger shapes or small patties and fry in a hot frying pan with oil and press them gently whilst cooking. Cook for about 4 – 5 minutes on each side until brown and crisp. Adapted from Vegetarian with a Vengeance. Yes I know what some of you are thinking; Is this book riding on the success of 'Vegan with a Vengeance'. I've read that 'Vegetarian with a Vengeance' was originally written in Danish and the original Danish title of the book was Vegetarisk Vellyst, which translates as 'Vegetarian Delights'. However the publishers in the U.K made the decision to market the book with a different title knowing it would attract the attention of the veg(etari)an and non-vegetarian home cooks. 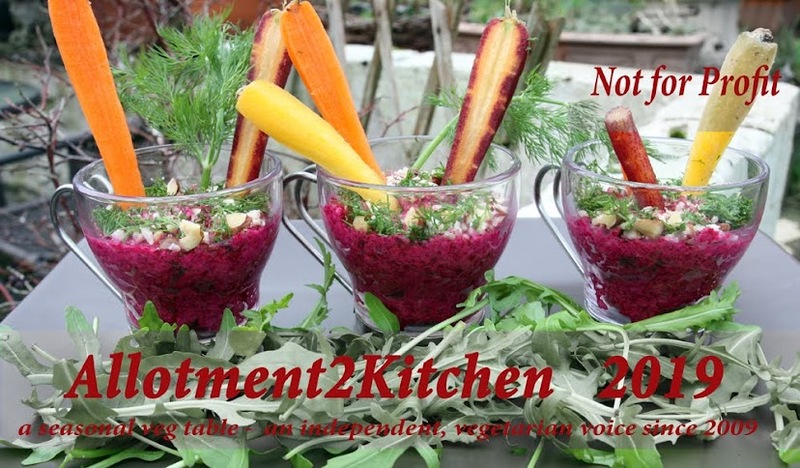 What I will say is, if the title and cover of the book encourages people to pick it up (and lets be honest about this, it often does), even better if its a vegetable based cookbook and gets people to reflect on their lifestyle habits and incorporate more vegetables in their diet, well that can only be a good thing, don't you think?!. I think its also important not to lose sight of the passion of the authors of the book Tina Scheftelowitz, a well-reputed food columnist and writer of a handful of cookbooks, including the Danish bestselling cookery series 'Superlicious Cookbooks' and Christine Bille Nielsen, a chef and nutrition economist, both of whom should be respected in their own rights. What a brilliant combination! I wish I was your neighbor. What an interesting style of burger. Your description certainly sounds appealing! 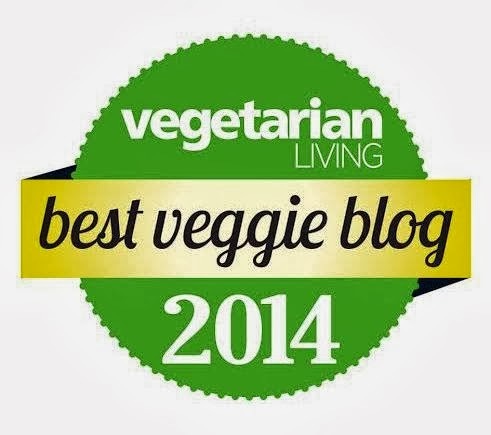 I will be trying this recipe, I love veggie burgers and we have Quinoa readily available in our stores. The rinse water from the grains is loaded with bitter tasting saponins, and I pour that over my veggies to deter insects from eating them. I've enjoyed visiting your blog and love that you have so many great recipes for soups (my favorite). These quinoa burgers sound delicious especially since they taste like onion rings! You can't beat that! Yum! These sound amazing! I love beets & quinoa; must make a yummy burger, especially with the curry powder :). I would like to have a browse through your bookshelf, Mangocheeks. Sounds as if you have books about every type of cuisine under the sun! 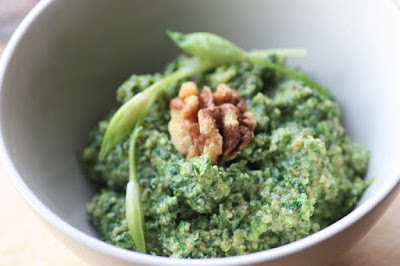 I have some leftover quinoa so this looks like a great recipe to try! I've just printed this one off it looks and sounds delicious. Definitiely one to try while I'm eating my way through the store cupboard, I know there's some Quinoa in there somewhere. Do you think I'd get away with pickled beetroot, I don't have any raw stuff at the moment? These look and sound delicious. I always measure my rice etc in ml. That way I can measure the water straight after. Weirdly it is pretty much the same thing, 100g of rice is about 100ml of rice. The celeriac soup sounds delicious,will try that. I'm not yet a quinoa convert, having tried it last year. But I'm thinking maybe I didn't do it justice so am determined to try again, I might even try growing some,REal Seeds have several varieties listed, apparently it grow perfectly well in uk gardens, and even if i don't eat it, the chickens certainly will! quinoa is quite an acquired taste isn't it. It's sometimes recommended as a more nutritious/lower carb alternative to rice but I find it a bit bland on it's own. 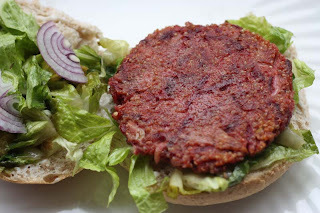 I can see why D might have changed his mind with these burgers packed full of flavour from the beets and spices. Well now, I can always count on you to tempt me with a delicious veggie burger recipe. As you know, I'm in search for the ultimate. 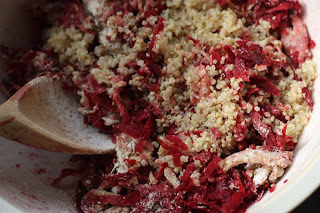 I have a hunch that beetroot will be involved, and I loooove the texture of quinoa. Great recipe, I shall attempt it this weekend. May have to substitute wheat flour with something gluten-free but I'm sure it will be delicious! Thanks for this post. Those look great. I am noting the recipe to try. Yum, my mouth is watering now! Your beetroot & quinoa burgers look so pretty & tasty too! I will respond to each of your comments when I return back to my usual day routine.